FeastHome – When we talk about a kitchen, a storage is a must. A storage is very important to be in a kitchen because it is a place to save all of the kitchen utensils, including a knife. So that the kitchen area looks neat and clean without any items scattered. But, it will be better if you separate the storages for the knives and the ones for other kitchen utensils. Because a knife is sharp and it can scratch the other kitchen utensils. 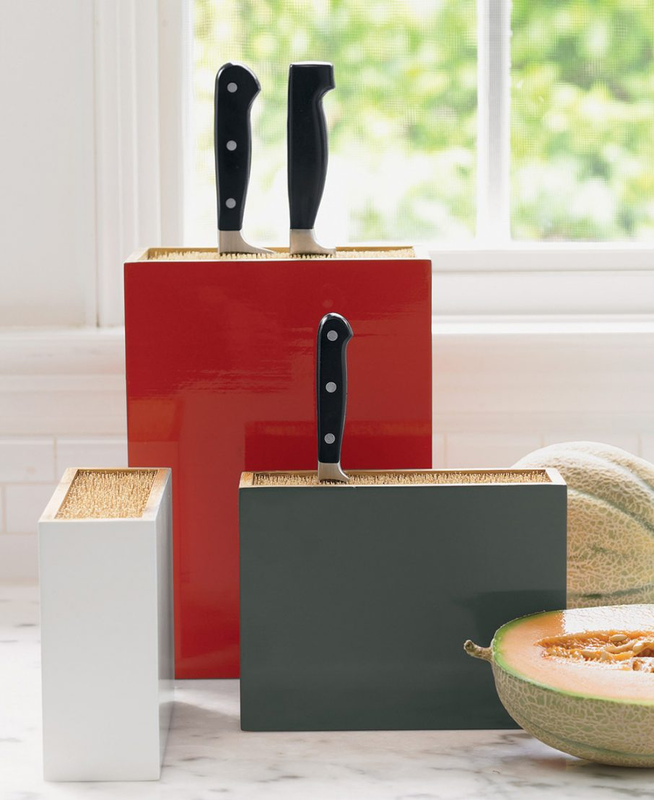 Here are some ideas of knife storages for your kitchen. 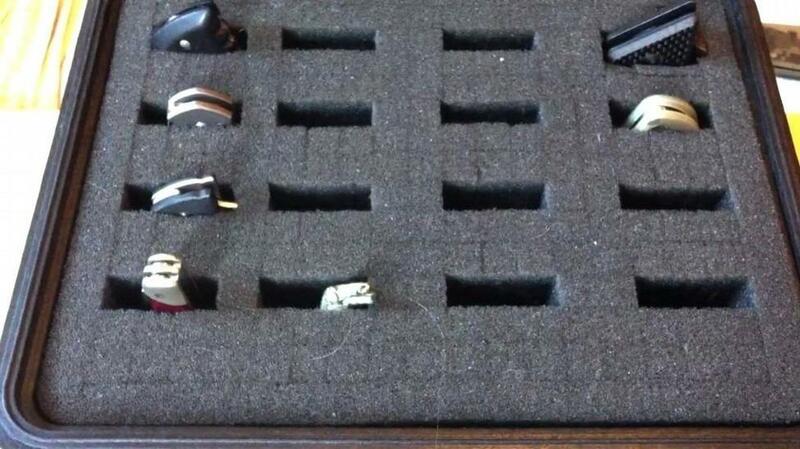 If you want to hold your collection of knives in a place, you can use a magnet. A knife is made from an iron material so that the magnet will be able to hold it in the place. Just like the image above, the householders use some bars of a magnet to be installed in a simple wooden board. The wooden board acts as an open cabinet that makes it easy for the householders to pick the knife they need. But it is also able to be closed by pushing it up. 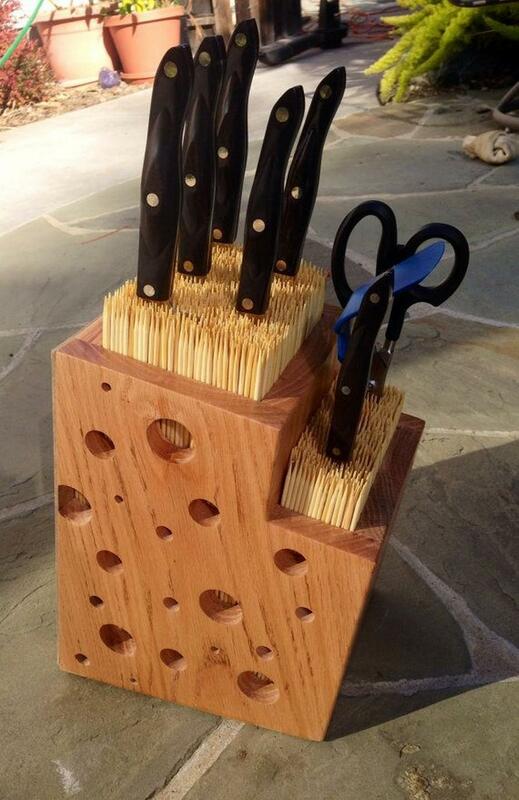 Another idea of a magnetic knife storage idea that you can apply in your kitchen. A bar of a magnet is placed at the bottom of a wooden kitchen cabinet in order to create a hidden magnetic storage for knives. It is actually a smart idea that you can follow if you do not have enough space to have a specific storage for your knives collection. But make sure the magnet is very strong if you want to apply this idea in order to avoid falling knives that can hurt you. Or you can also have this idea in another way such as placing a bar of a magnet in the wall of your kitchen as the knife storage. This way you will be able to save some spaces in your kitchen area. For you who want to have a unique storage to store your knives, this one might be suitable for you. A cubicle knife storage is able to provide you with enough places to save your knives. The amount of place depends on how big the size of the cubicle storage you choose. The bigger the cubicle storage, the more places it can provide. 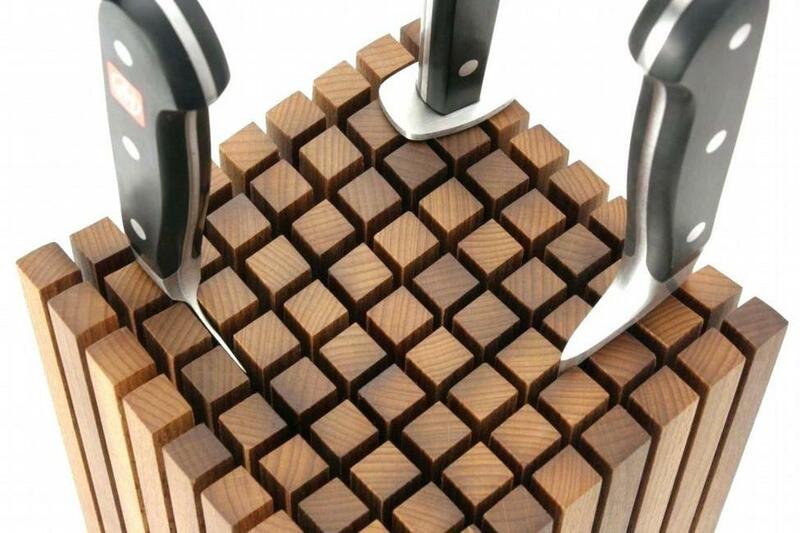 The wooden material used for this cubicle knife storage is strong enough to save some sharp knives. 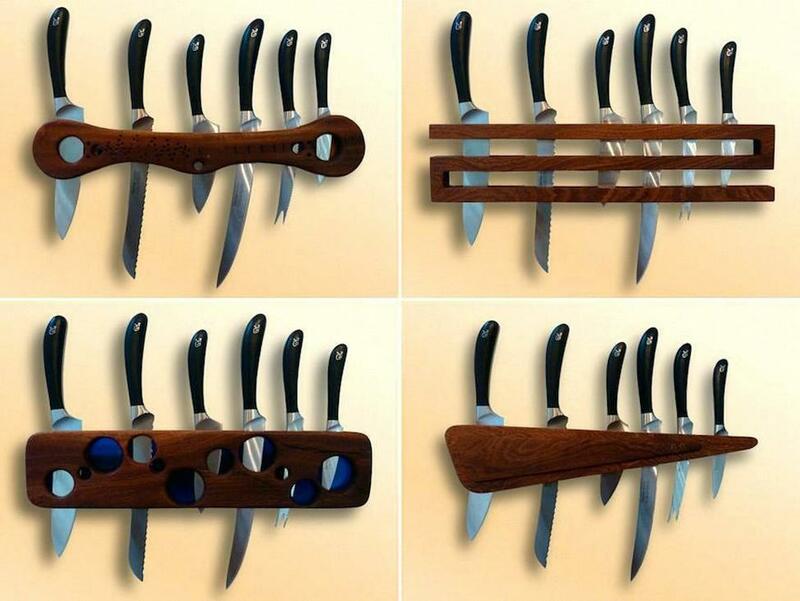 Moreover, this kind of knife storage is also able to be used as a kitchen decoration because of its uniqueness. Are you looking for a storage to place your collection of knives as well as kitchen wall decoration? Then, a shaped knife storage is the answer for you. There are a lot of shaped knife storages that you can choose, some of them as you can see in the picture above. The shaped knife storages above are very decorative so that they can also decorate the walls in your kitchen. There are the unique ones and also the simple ones. 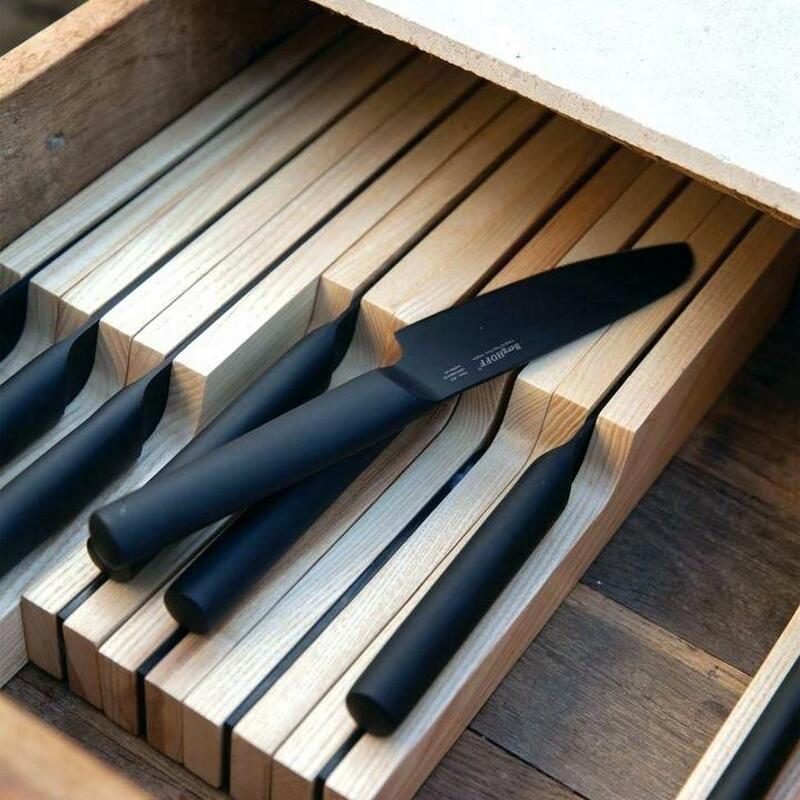 Moreover, this type of knife storage makes it easy for you to find the knife you need because it is an open storage. This simple box used as a knife storage is suitable for you who have a minimalist style kitchen. There are many dividers which are able to separate the knives so that it looks neater. If you only have a few knife, you are able to choose the small box knife storage. But if you have many knives to be stored, you should choose the big one. 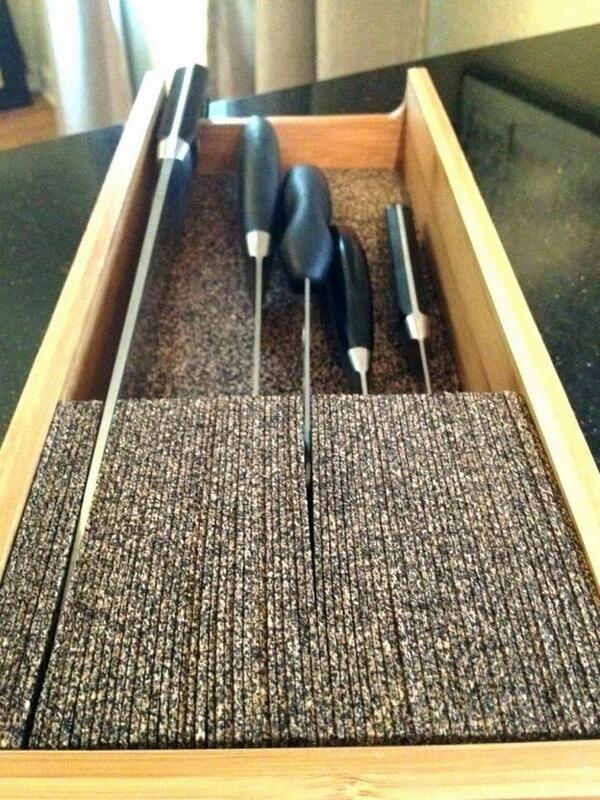 This knife storage is very attractive because it uses a lot of skewers to hold the knives in a place. The box itself is already very unique. The wood material used for the box and the skewers will be able to bring a natural and warm touch to your kitchen. Moreover, this type of storage for knives can also be a decoration in your kitchen. Because this knife storage is quite big, it is more suitable to be used to store any big knives. 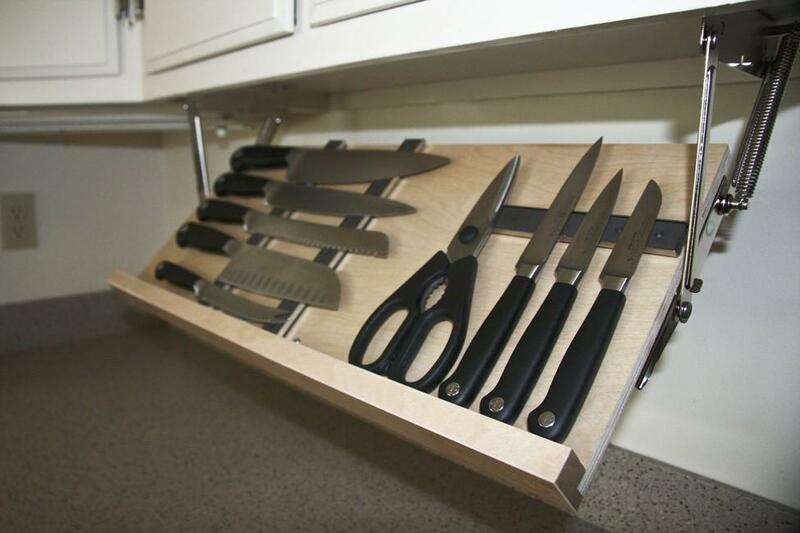 You also need some spaces to place this kind of knife storage in your kitchen. The wood material is shaped and used as the dividers to be a storage for the knives. It is perfect for you who want to have a simple storage to save your collection of knives. This kind of knife storage is also suitable for you who want to make the knives neater in your kitchen cabinet, just like the picture above. 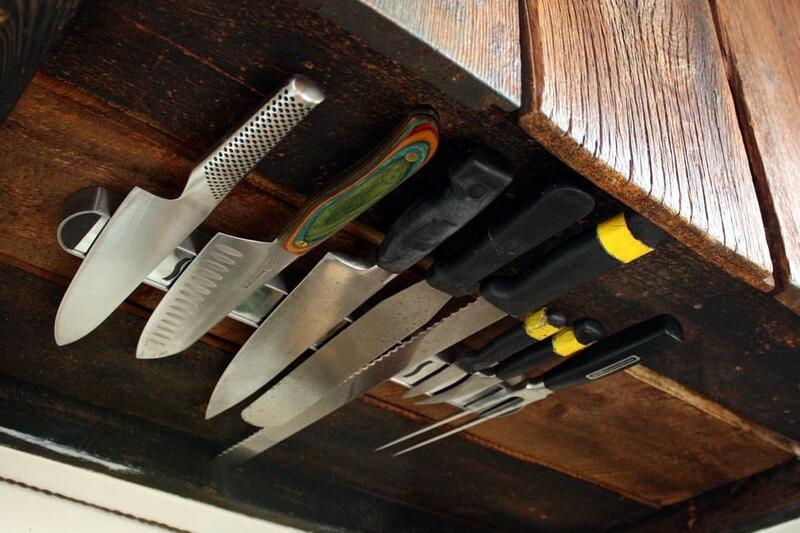 If all this time your knives are scattered in your kitchen cabinet, follow this idea to make the area looks neater. There are many materials that can be used as a knife storage, one of them is foam. You can buy a box foam and make some square holes to store your knives collection, just like you can see in the picture above. But since foam is a soft material, make sure your knives are covered so that the foam is not damaged because of the sharp knives and can be used for a long time. This idea is perfect for you who do not want to spend much money to buy a knife storage since foam is quite cheap. Do you want to add some colors to your kitchen in order to make it looks more attractive? Then, you better have a colorful knife storage. You are able to choose a knife storage with the screaming colors such as red or yellow to make your kitchen area looks less boring. But if your kitchen is in a minimalist look, a knife storage with neutral colors such as grey, black, or white will be more suitable. A knife storage can also be a kitchen decoration so that choose the most stylish ones.